The M30 is a cross-platform plug-in. Arriving just too late for this week's free music software round-up, TC Electronic's M30 is a reverb plug-in that the company is setting free for three days only. Since the start of Monday and for a total of 72 hours, the M30 can be downloaded for nothing - after that it'll cost you $79. 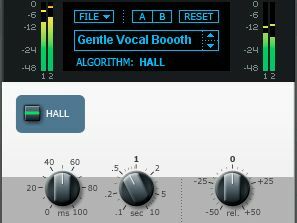 It features a Hall algorithm that's said to be perfect for vocals but can also be used to fulfil other reverb tasks. The M30 is Mac- and PC-compatible and supports the VST and AU plug-in standards. To get your copy, simply head to the TC Electronic website and submit a few details. That's all there is to it.